For 95 years since Ben-Gurion spoke—and for centuries before that—“no solution” has defined a clash of religions, cultures and ethnicities in a region that has nurtured not only Judaism, Christianity and Islam, but also other faiths and sects. Arabs and Israelis kill each other. Christians, Jews and Muslims slaughter one another. Shiite Muslims and Sunnis lay waste to large portions of each other’s communities with suicide bombers. Add to this more than a thousand years of colonial European and American militaries staking out the Middle East as a preferred battleground. And although not a new phenomenon, terrorism’s new virulent strains blur borders, deform religion and ideals, and lash out with homicidal intensity at innocent victims. Consider the Yazidis. More likely, you’ve never considered them. Few people had ever heard of this small religion in Iraq and Syria until the “Islamic State,” aka ISIS or ISIL, started a genocidal slaughter against the Yazidis this summer. Has humanity’s obsession with carnage reached the point that psychotics seeking Armageddon must scour the countryside for new groups to massacre? Was Ben-Gurion right—“no solution”? Futility and despair have been on agonizing display over the past several months in Israel and Palestine, with each step forward seemingly trumped by two steps back. Is that sad state inevitable? Maybe not. 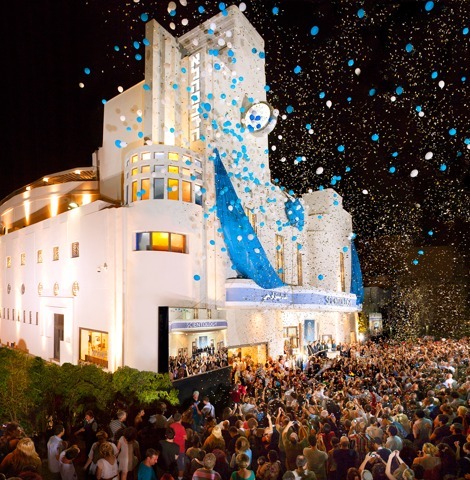 The grand opening of the Scientology Center of Tel Aviv—the first in the Middle East—followed a series of new Scientology Ideal Organizations established in major cities and cultural centers around the globe, with a total of 39 unveiled to date. Hope burns brightly in the historic Alhambra Theatre on Jerusalem Boulevard in the ancient port city of Jaffa. 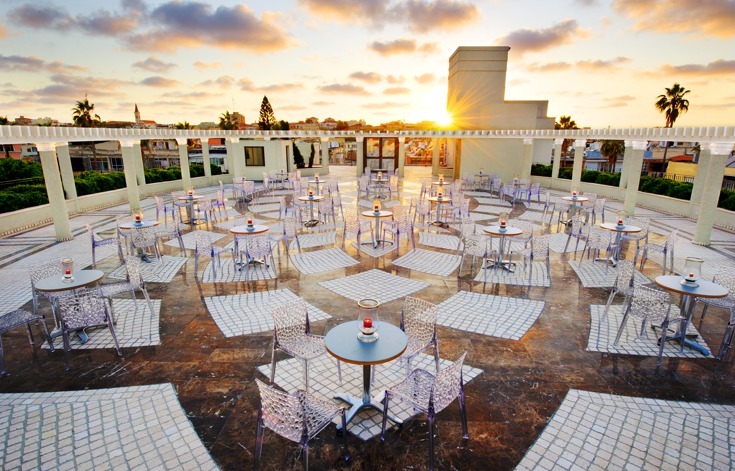 It is home to the Scientology Center of Tel Aviv, which has stood tall as an interfaith oasis since its opening as an “Ideal Org” in the Middle East on August 12, 2012. Ideal Organizations offer a complete array of services to Scientologists, and serve as outreach centers to surrounding cities and communities. 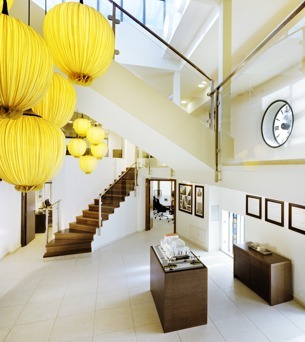 The Scientology center features a permanent exhibit dedicated to the history of the landmark Alhambra Theatre, including an extensive photographic display and a scale model of the original building. Insanity, criminality and war were sadly attendant, all three, in the Hamas-ruled Gaza Strip this summer. For 50 days, Israeli bombardment, Palestinian rocket attacks, and ground fighting killed more than 2,200 people, at least half of them civilians and more than 500 of them children. 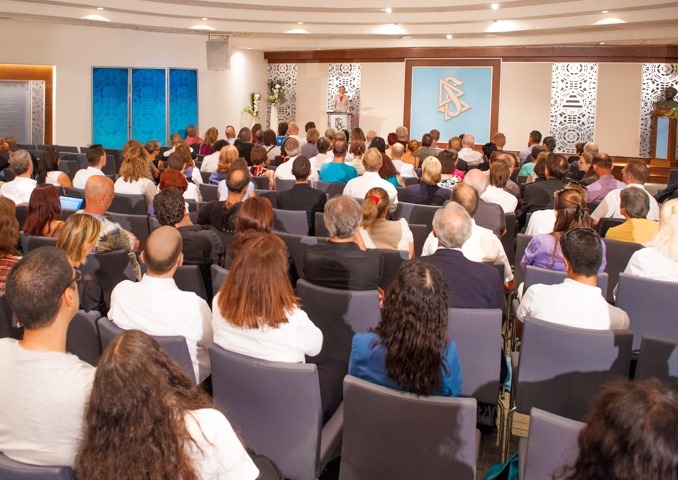 And true to its mission, soon after Israel launched its Operation Protective Edge on July 8, the Scientology Center dispatched 50 Volunteer Ministers to the war-torn region, armed only with training in the alleviation of physical, mental and spiritual suffering. They were on the ground in towns near Gaza for nearly a month, delivering supplies to bomb shelters and youth centers, assisting and comforting children, offering help wherever needed. Classic features of the historic Alhambra Theatre include the auditorium (above) and the rooftop terrace (below) providing venues for the many Scientology services and activities, as well as interfaith gatherings and community events. That passion and idealism was at the heart of the Scientology Center’s founding and beats in its activities. An interfaith coalition known as Small Peace was established at the Center with the aim of increasing understanding and tolerance among Israel’s diverse religious faiths, advancing social betterment programs, and, of course, promoting peace and human rights. Small Peace has sponsored meetings and human rights events attended by individuals representing a variety of faiths. These include International Peace Day forums attended by artists, educators, journalists, community leaders and religious scholars. The discussion events focus on conflict resolution and promoting moral choices. That negativity and agitation by the press—and by partisans motivated to spread propaganda and hate—inspired Fischler and his associates at the Scientology Center to wage their own campaign of communication and understanding. A key part of that is regular distribution of the book The Way to Happiness, the nonreligious, common-sense moral code written by Scientology Founder L. Ron Hubbard. A special printing of 30,000 copies of The Way to Happiness was done in July in the Arabic language, with teams of volunteers fanning out to distribute them in the West Bank and Gaza Strip—in the center of the most recent turmoil. It proved so successful that an additional 30,000 copies were printed in August in Hebrew, bearing a custom cover of the Tel Aviv skyline. Indeed, Dr. Hassan Marhagi, chairman of the Arabic Press Chamber of the Israeli Communication & Press Association, finds the same response to The Way to Happiness in the Arabic Muslim community. “It’s also about people reading and applying The Way to Happiness and recognizing the right of others to live peaceful and quiet lives,” Marhagi added. And just as The Way to Happiness resonates with Jews and Muslims, so too does it with the area’s Druze community. Sheikh Hussein Laviv Abu-Rukun, chairman of the Committee for the Preservation of the Druze Religion’s Heritage in Israel, counts himself as a proud supporter of The Way to Happiness message. The notion of treating all religions and ethnicities with tolerance and respect is what Arab businessman Halabi Faiz, organizer of the first The Way to Happiness distribution effort, says drove him to persevere. As Faiz tells it, a cab driver skeptically asked him about this book he was holding. Faiz responded by inviting the cabbie to have a cup of coffee and read it for himself. Within a few hours, the driver returned to ask for 10 more copies that he could hand out to his friends and acquaintances.